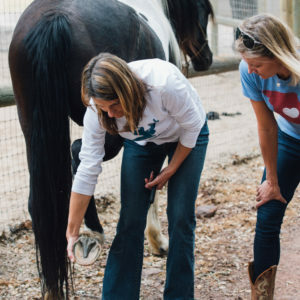 In this pre-recorded 3-part teleseries—which includes three (3) PDF handouts—with instructors Koelle Institute founder Koelle Simpson and Master Facilitator and licensed Marriage and Family Therapist (MFT) Renee Sievert, you will learn more about trauma and what to do within an Equus Coaching session to best support a client. While designed with Equus Coaches in mind, anyone interested in learning more about trauma (even if they are not an Equus Coach) will gain new insights and a solid, foundational understanding of how trauma patterns can affect others through this teleseries. In our increasingly complex world, it is difficult to find an individual who has not experienced some form of trauma in their lives. Be it physical, verbal, or sexual abuse, neglect, cultural oppression, bullying, war, or other catastrophic events—as an increasingly connected society, we’re becoming aware at unprecedented rates of the effects of trauma on our lives. 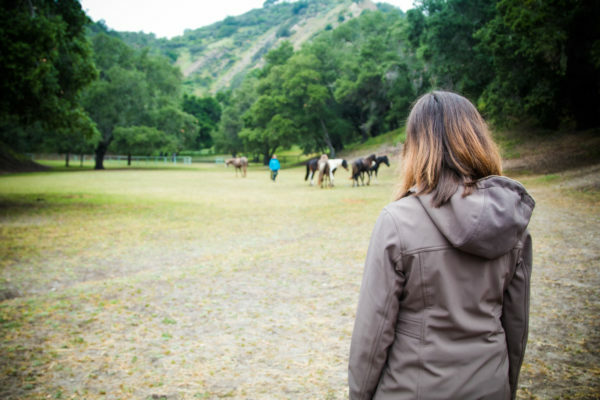 Because unresolved trauma patterns often arise when someone subconsciously feels they have entered a safe environment, Equus Coaches are very likely to encounter clients who begin to process trauma while in the round pen. **Note: While we are not in a position to train Equus Coaches in the field of clinical psychology, we do, however, want to support the Equus Coaching community in learning more and discovering modalities that can help clients integrate traumatic experiences. What trauma is and how to recognize a trauma pattern. How trauma creates a looping pattern of behavior. The symptoms and criteria for Post Traumatic Stress Disorder (PTSD). How to recognize dissociation in your clients and what to do when it happens. How to effectively utilize reflective listening and empathy to create a safe space. What you can do within an Equus Coaching session to best support yourself and your client and stay within your scope of practice. How and when to offer your client guidance or referral for further professional support. Other modalities that can be effective in helping your clients integrate traumatic experiences. You’ll learn from personal stories, client examples, and your instructors’ great appreciation for the science and mystery on the effects of trauma on the human spirit.